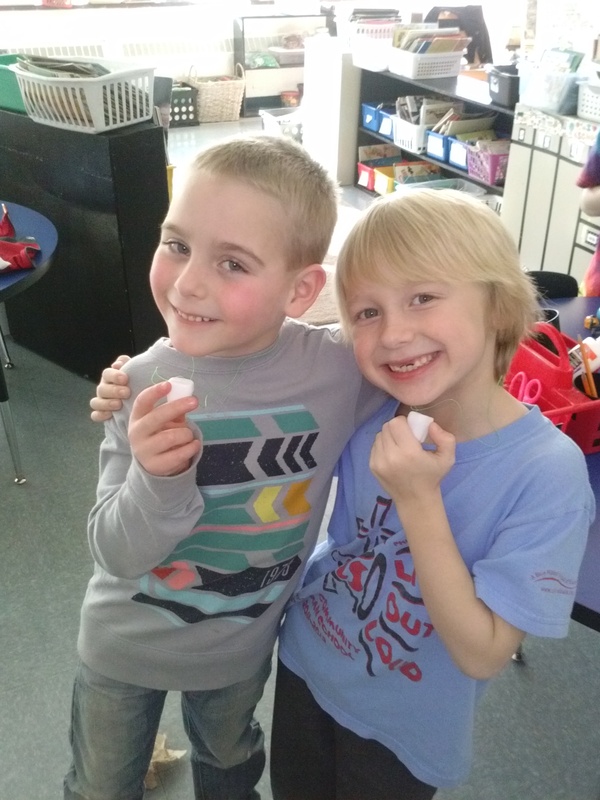 Toothless First Graders! !–We’re Losing Count Around Here! Man, oh man–our teeth are falling out left and right around here. It’s like those movies you have about losing all of your teeth, except this is for real! Well and that it’s a normal part of first grade life. 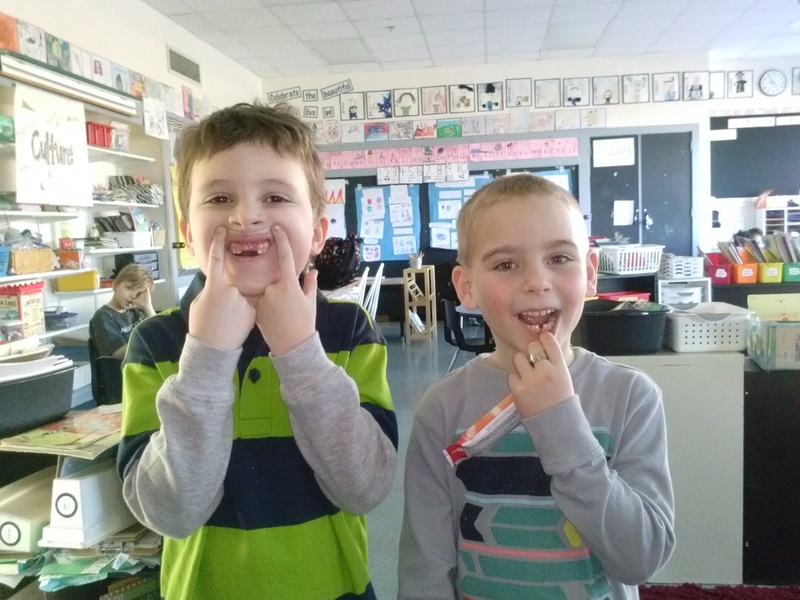 Ok, so JK looks a little silly, but he had to show you what happened–he lost both of his two front teeth at the SAME TIME!! What are the chances? Peyton showed off his new hole on the bottom. And THEN he told me how special this tooth was and how the Tooth Fairy didn’t come yet because he had to write a note to her to ask her not to take his tooth away because it was his first one and then…WAIT–what? Your very first tooth? Well then you deserve your very own picture, buddy! Say cheese! But we weren’t finished yet! Remember how Evan lost a front tooth last week that had been hanging on for a while? Well, the other one was just about done so I sent him down to check out getting it pulled out. 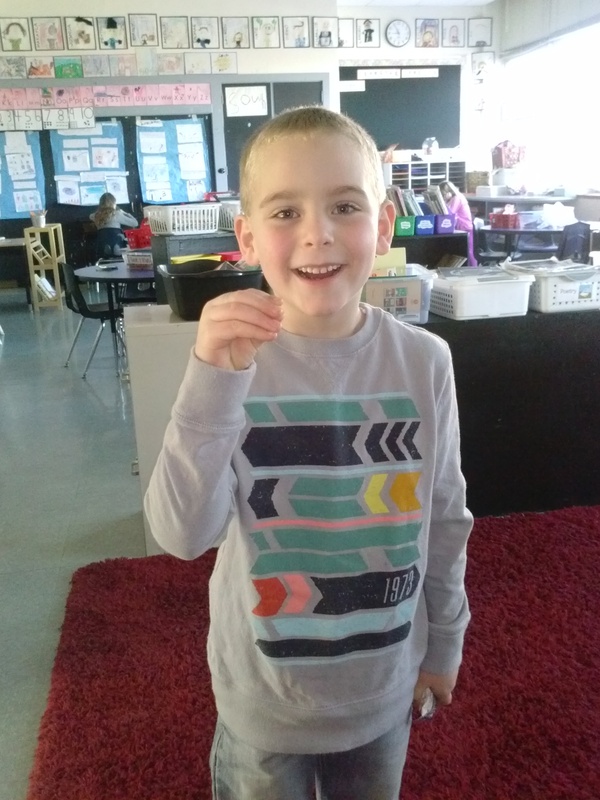 ANOTHER lost tooth!! Posted on February 25, 2015 by Jen Bearden	• This entry was posted in Classroom, First Grade, Play and tagged first grade, fun, lost tooth. Bookmark the permalink.